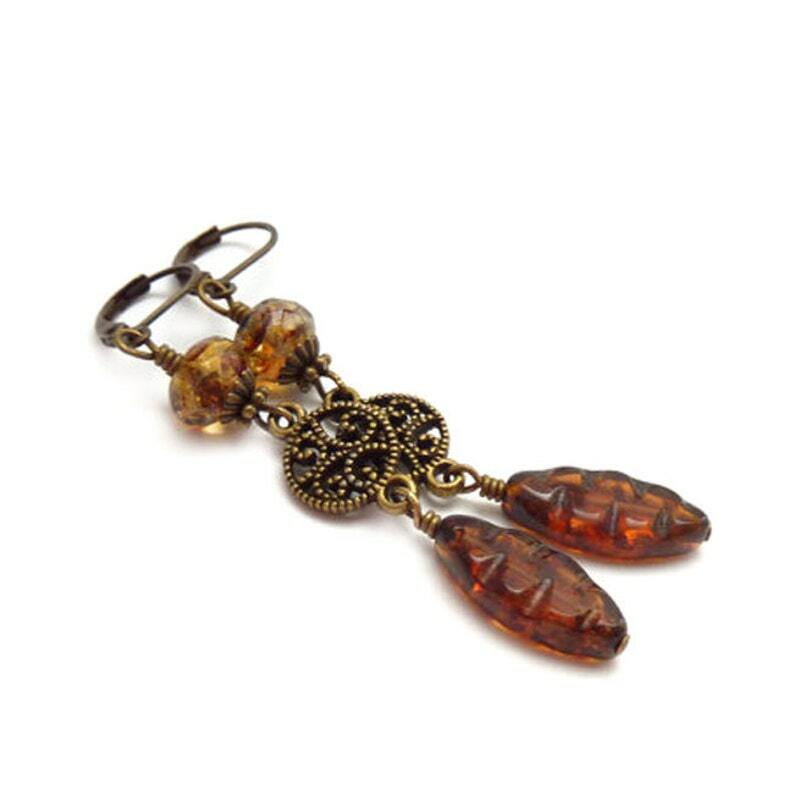 Boho earrings made with chocolate brown glass spindle beads with a warm Picasso finish that dangle from round bronze filigree. I added another glass bead in warm brown on top. If you prefer a fish hook earwire, just let me know at check-out and I'll make the switch.